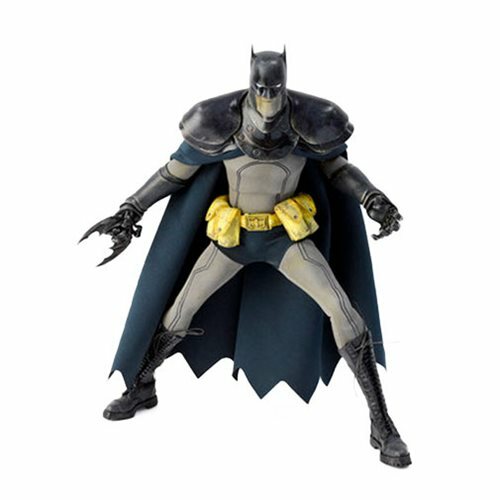 Based off the designs of famed illustrator Ashley Wood comes his rendition of the Dark Knight! 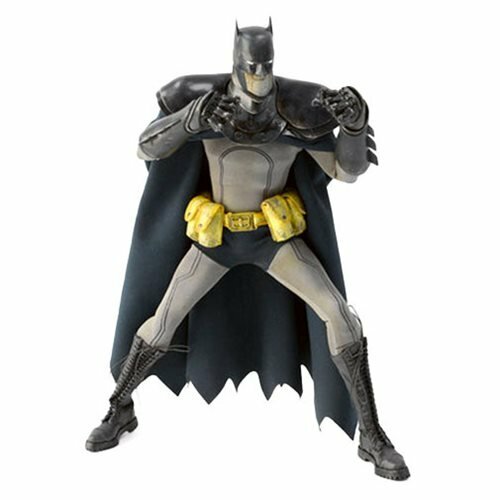 This DC Steel Age Steel Detective Batman by Ashley Wood Action Figure is 1:6 scale at 13 1/2-inches tall and features 50 points of articulation, with articulated fingers and segmented neck armor. The figure has the trademark ThreeA weathered paint application. Batman also has light-up LED illuminated eyes and requires 3x "AG-1" batteries. 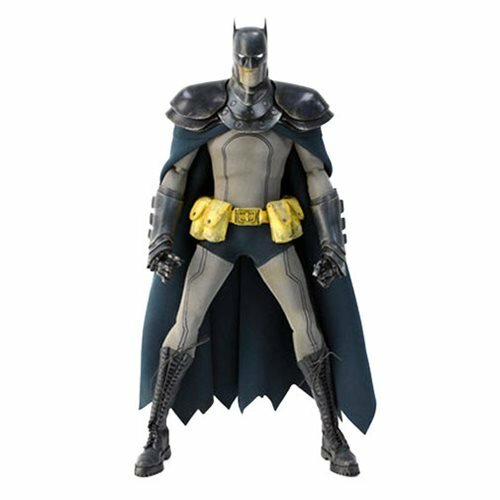 Batman comes in fabric outfit with a cloth scalloped cape. Accessories include 2x Batarangs.